I don’t know how specific that law is to ice cream trucks, but it is true that thousands of kids die each year from “backovers”. Which is why it’s great that Tesla’s Summon feature, which retrieves the car from its parking space, might help make backing up safer. Unfortunately, Consumer Reports noticed several flaws with the feature, which could have put kids lives in danger. But never fear, Tesla has already fixed them. Google just received a patent for lockers in self-driving trucks. Although this is only a patent, it’s not hard to see from here to a place where Google is directly competing with Uber. And maybe FedEx and Amazon, for that matter. On the other hand, it’s worth remembering that entering this type of business would be a direct departure from Google’s Android strategy. In that business, Google has been content to own the software and let other companies manage the hardware and services that come on top of it. A third, more trivial, thought, is – do we really need a patent for this? Putting lockers inside of trucks is a neat idea, but it hardly seems like the type of thing that merits a patent. I would hate to see some small startup get squashed because it doesn’t own the patent for putting lockers in a truck. The Obama administration, and US Secretary of Transportation Anthony Foxx, in particular, are huge fans of autonomous vehicles. 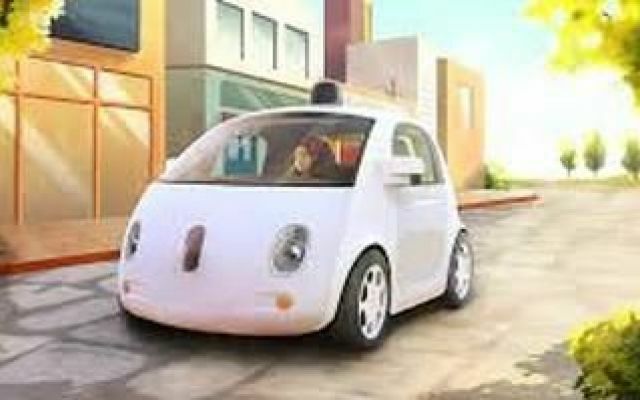 So it was nice to see the news that the National Highway Transportation Safety Administration views Google’s self-driving cars as legal and safe, even without a human driver. On a practical level, this seems like a big deal, but I can’t actually pinpoint how this will affect legal and regulatory disputes. My understanding is that most motor vehicle regulation in the US is done at the state level. So when a federal regulator (the NHTSA) and a state regulator (the California DMV) disagree on whether a self-driving car needs a human driver, does the state win? Posted on February 8, 2016 by David Silver. The United States Army is experimenting with self-driving trucks, and in a kind of cool way. They are testing out whether trucks in a convoy can follow a human driver. The Army owns hundreds of thousands of vehicles, and sends big convoys to transport munitions and materials across the country and the world. The interesting part of this is that maybe the Army can simplify the autonomous vehicle problem by simply having the trucks in the convoy follow a lead human driver. Chewing on this in my mind, it’s not obvious to me whether this simplifies the autonomous vehicle problem or just morphs it. After all, there are going to be weird corner cases where trucks in the middle of the convoy shouldn’t really follow the truck ahead of them. Does designing for those corner cases simply amount to building a real self-driving car? Google recently contracted with Hevo Power and Momentum Dynamics to install wireless car charging pads on its campus, according to engadget. It sounds like pretty early stages, but apparently the pads are shaped kind of like manhole covers, and they use a technology called resonant magnetic induction to power cars hovering nearby. It seems pretty early yet, but imagine if this works and entire highways get covered by these types of pads. It might work a little like cellular data – charging just happens in the background, without car owners ever having to think about it.